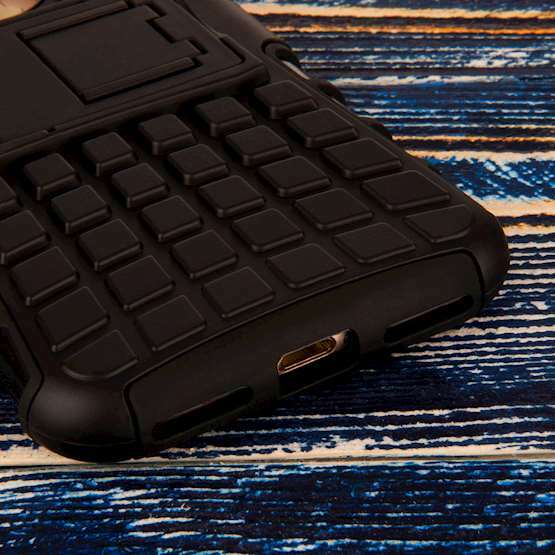 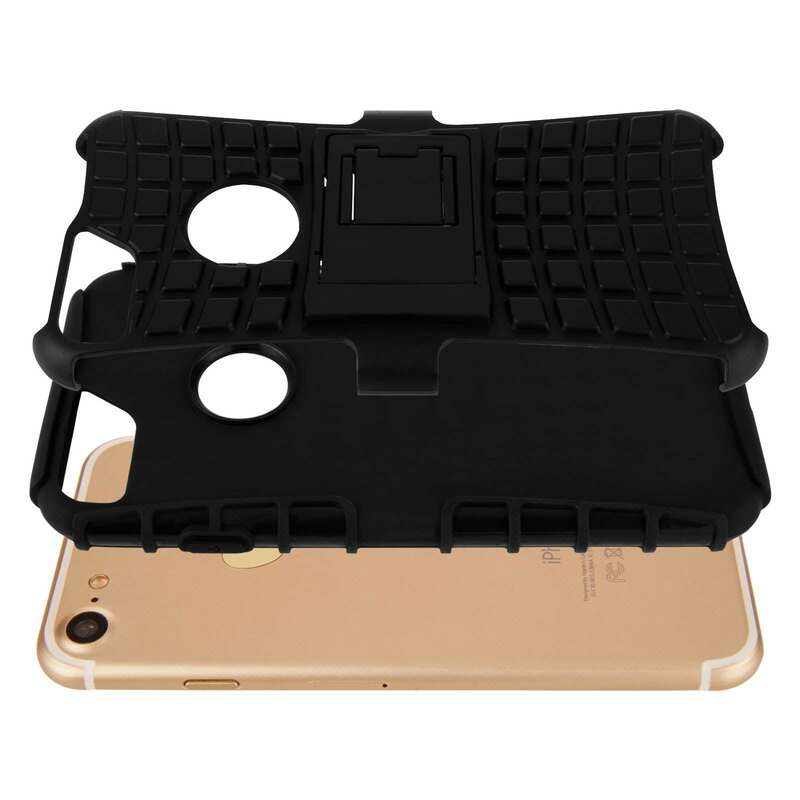 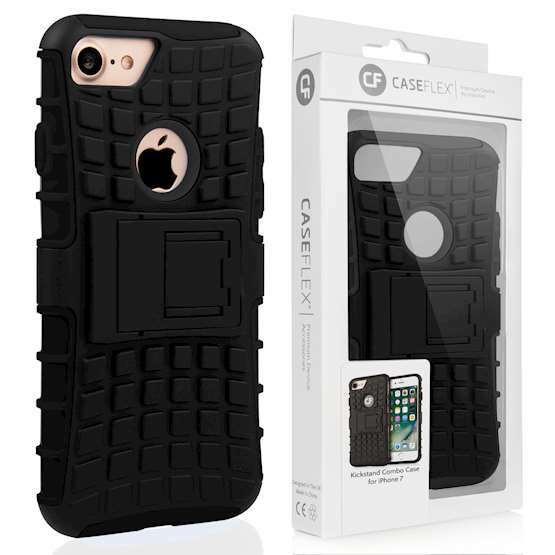 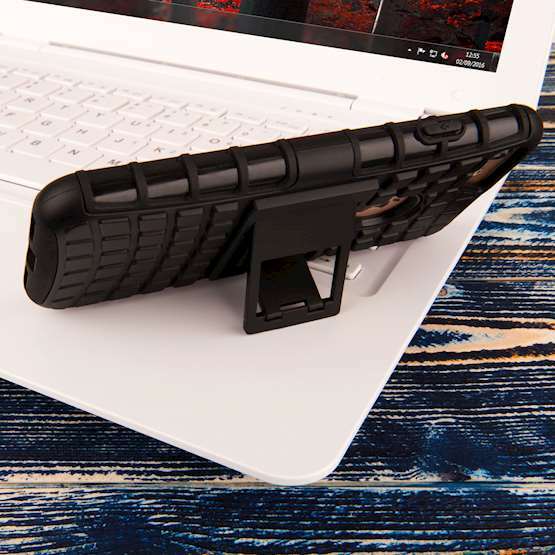 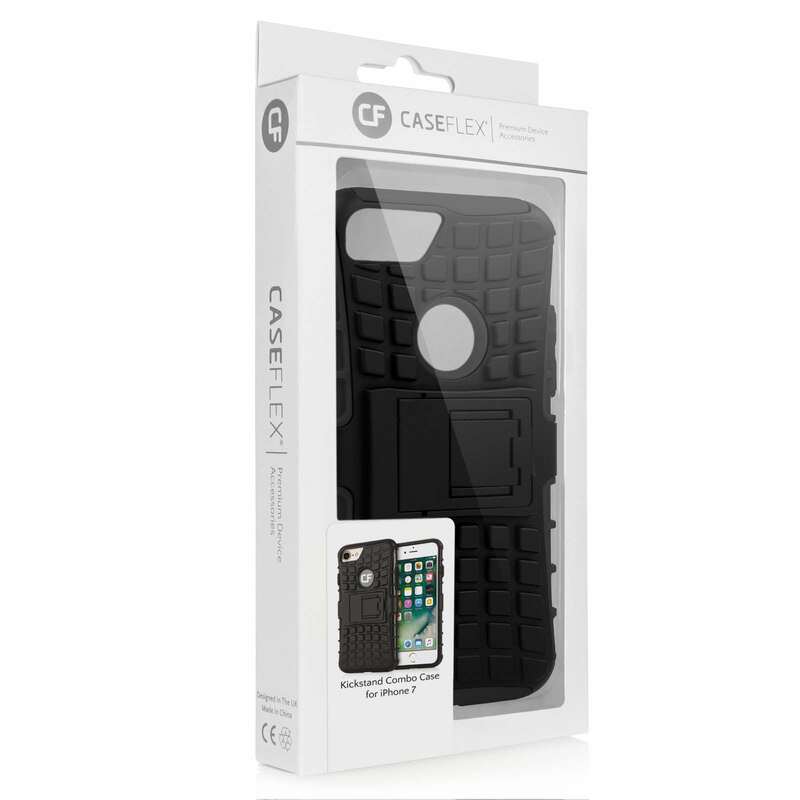 This heavy duty kickstand combo case in Black from Caseflex is designed to provide optimal protection for your new Apple iPhone 7. 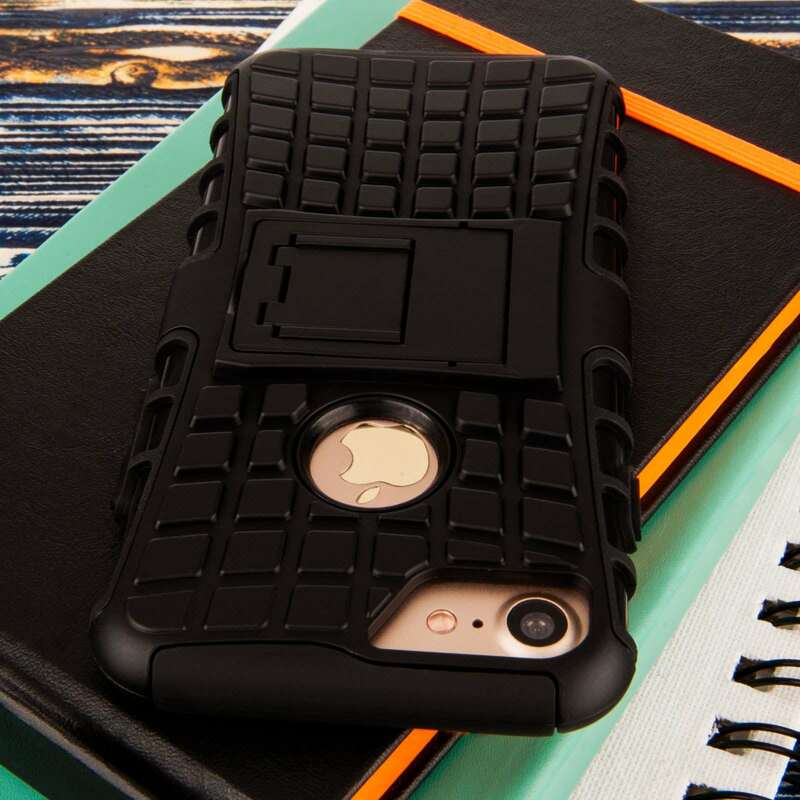 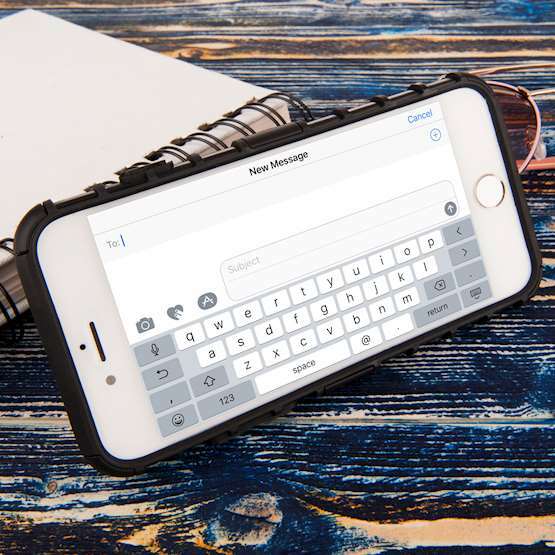 It’s made from premium quality silicone gel and durable plastic; the inner part of these tough cases provides a soft protective layer to protect your phone from scratches, scuffs and scrapes. The rugged outer layer however, makes for an effective armour to protect against drops, knocks and other mishaps. 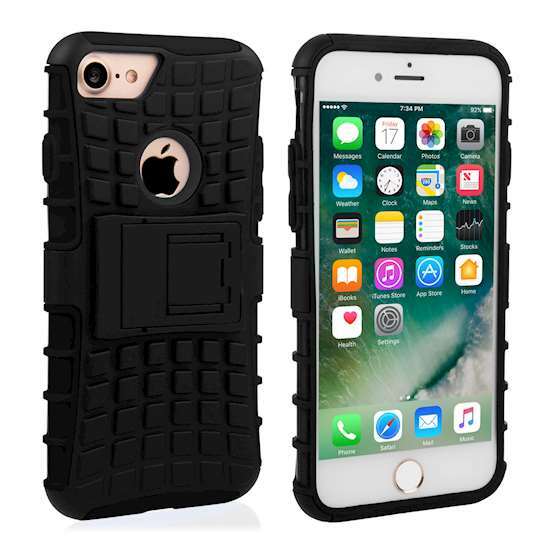 This dual shockproof Apple iPhone 7 protector looks great and will protect against almost all day-to-day accidents, ensuring that your phone stays in perfect condition for longer.